Meowry Christmas – Gifts for Cat Lovers! Meowry Christmas and a Scratchy New Year! If you are trying to find the perfect gift for the cat lover in your life, look no further – we have compiled a pawsitively purrrrfect list of Christmas gifts that will delight feline appreciators both young and old. Cat tree ornaments – Deck the halls and trim the trees with kitty cats galore this year – buy your friend a selection of adorable cat ornaments and you are guaranteed to put a smile on their face. A lovely cat scarf – Help your friend or family member drape themselves in feline adoration – a pretty kitty print scarf from Tattypuss will do the trick nicely. A voucher for Lady Dinah’s Cat Emporium – Not simply a cat themed shop or a cafe with pictures of cats on the walls, Lady Dinah’s is home to fifteen live cats and kittens that visitors can pet and play with whilst they drink their coffee. The cafe books up 3 months in advance, so book early to avoid disappointment. A 3D printed crystal ornament – If your gift recipient has a beloved cat of their own (or perhaps a dearly departed pet), consider having a laser etched 3D photo crystal ornament created. Meaningful and thoughtful, this is sure to be a huge hit. 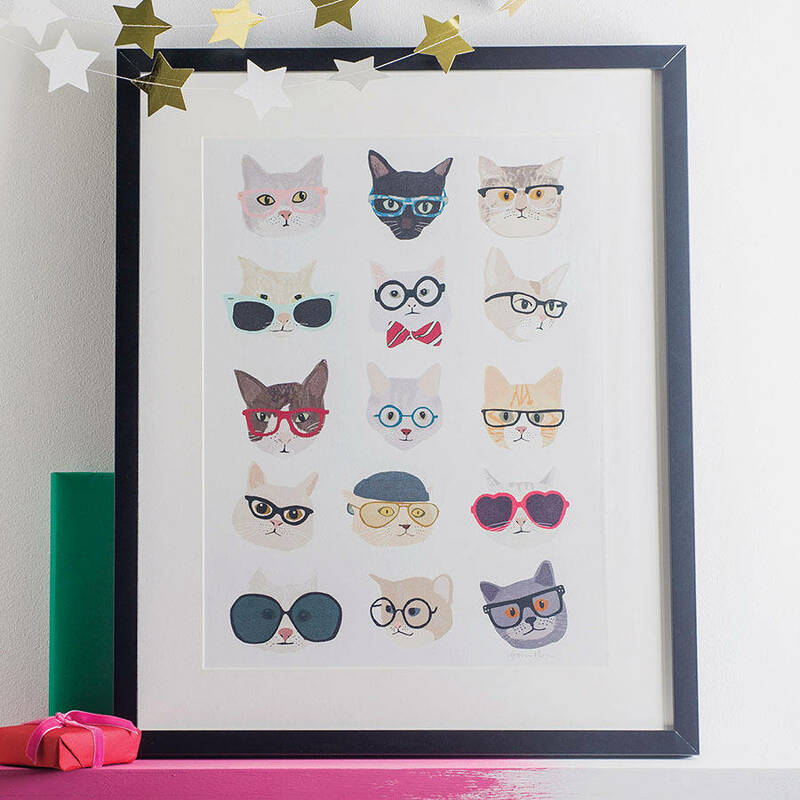 A fun cat print – I can’t stop laughing when I see this hilarious “Cats with Glasses” print – it’s one of many cat related gifts available on gift website Not On the High Street that would be a great gift for a cat lover. Choosing a gift for your superior can be a nerve -wracking experience; after all, you want to show them that you appreciate their guidance, but you don’t want to be too informal or over familiar. These gifts should be thoughtful, but not overly personal. Unless you know them very well and have a close personal relationship, it can be really difficult to choose something appropriate to put under the office Christmas tree. Thankfully, we have done the guess work for you. Here are our favourite gifts to give to a boss, supervisor or manager this year. A gourmet gift hamper – Whether you are shopping at Borough Market, Fortnum and Mason or M&S, gift hampers are available at all price points. Perhaps you would like to make the gift a little more personalised? You can always purchase a basket and fill it with posh goodies that you buy on sale or from discount retailers such as Lidl. 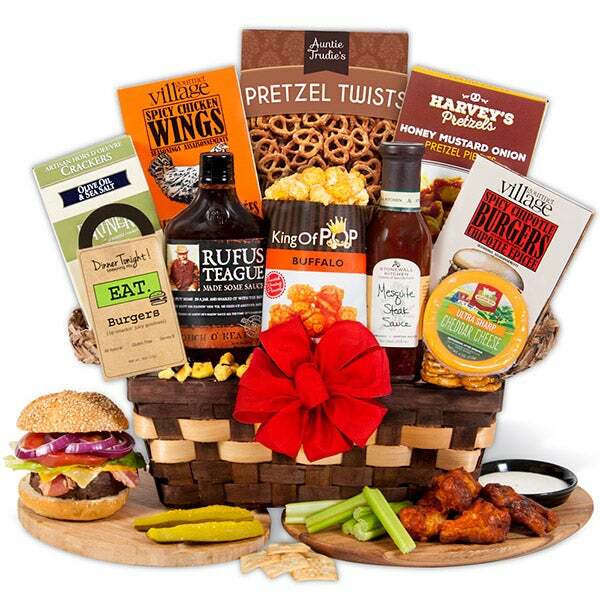 It’s nice to include wine, seasonal sweets, gourmet oils and vinegars, delectable nuts and even some cured meats. A spa or massage voucher – Whether your boss is male or female, a few hours of rest and relaxation at a local spa will be well appreciated. Consider choosing a Wahanda voucher, and this will allow your recipient to choose the service they want at the location of their choosing, all at a deep discount. A personalised photo crystal – If you work for a small start up or for a large corporation, chances are that your company means a lot to your manager. Have your company’s logo laser engraved into a 3D crystal ornament that your boss will cherish and will look fantastic on their desk. A quarterly gin membership – This one is for the gin lovers in the house! Sipsmith sends custom boxes of four gins out to its members every three months, allowing sippers to sample a myriad of unique craft spirits all year long. Participating in an office gift exchange or ‘Secret Santa’ anonymous gift game can be a great way to promote holiday cheer and bonding with your colleagues. After all, who doesn’t love receiving a present that has been carefully selected just for them? That said, shopping for your Secret Santa recipient can be a little bit challenging at times. You may have selected a coworker who you do not know very well, or you might have picked your hard to please boss. Here are some great gift ideas perfect for Secret Santa this year that will cost you less than a tenner. Bathtime treats from Lush – Lush has a whole range of small Christmas gifts and holiday themed products that are priced around the ten pound mark, including this delightful Secret Santa bath gift. The scents are spicy and sweet, perfect for someone with a love of seasonal treats. A nice bottle of wine – This time of year you can often get really nice bottles of wine at deeply discounted prices – gift them with a Cab Sav or a Merlot that will help them get through the work week! A Christmas Pud tie – M&S saves the day, as always. They have a new range of Christmas themed neckties, all priced under ten quid. These are lovable and fun, guaranteed to melt the heart of even the most vehement “Bah humbugger” out there. David Beckham optional, of course. A personalised crystal keyring – Want to get your Secret Santa recipient something really special? Choose a photo of their child or pet (scour their Facebook if you are friends on social media) and have an engraved crystal keyring made especially for them. Chocolate Brussels Sprouts – Before you start gagging, relax! 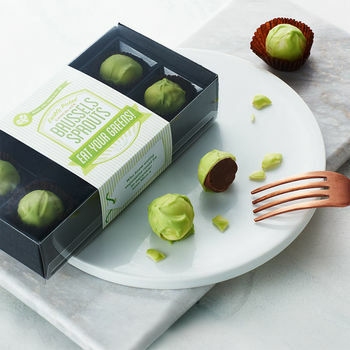 These are chocolates in the shape of brussels sprouts, not actual cruciferous bonbons. Handmade of luxurious gourmet chocolate, these are a fun twist on the usual Christmas choccies. Young people who are just heading off to university are at an exciting point in their lives – embarking on the journey towards adulthood and expanding their minds with education. That said, their cramped living quarters and lack of life experience can make choosing the perfect gift for uni students quite difficult. If you are struggling to decide what to place under the tree for the Uni students in your life, here is a handy list guaranteed to help you this Christmas. Leather bound journals or diaries – Being a student is tough. There are countless notes to take, appointments to keep and assignments to submit on time. A gorgeous leather bound notebook from Moleskines or Aspinal of London is a sophisticated and timeless way for students to keep organised, perfect for young men and women no matter what their personal style. A Stylish Book bag – Backpacks and shoulder bags have made a big comeback in recent fashion trends for both men and women. No longer are backpacks solely the accessory of school aged children; sophisticated bankers, lawyers and sartorially minded fashionistas can all be seen toting Fjallraven, Harris and Herschel bags, most with dedicated laptop and tablet pockets. A loving reminder of home – Uni students often have to travel far from home, to cities across the country (and sometimes even across the planet). A photo gift is a great idea – consider a customised scrapbook, framed family portrait or an engraved 3D photo crystal keyring. Photo keyrings are the perfect way to send your favourite student a reminder of their friends and family. Accessories to spruce up their flat/ dorm room – Space saving dorm room accessories can make the great Christmas gift for a university student, no matter what year they are in. Laundry baskets, organisational baskets, reading lamps, stackable kitchen tools – these practical items are always appreciated. Do you have any other great ideas or tips about Christmas gifts for students? Join the conversation and leave them in the comment section below. Artists have a special gift; they can look at the world around them and see past the pain, suffering and strife and instead create something beautiful that brings people together. Buying gifts for the artist in your life can be a challenge – it can be hard to know exactly what kind of aesthetic they will appreciate. We have compiled this handy list in order to help you select the perfect Christmas, birthday or holiday gift for any artist on your list. A 3D Printing Pen – This innovative new invention will allow your favourite artist to download hundreds of blueprints or to create dynamic, wholly original sculptures and literally draw on air. 3D printing pens emit heated plastic that cools almost instantly into a solid, stable structure. The future is here – and it looks amazing. Take them on a Street Art Tour – Street Art and Graffiti is becoming increasingly popular – not to mention beautiful, controversial, subversive and influential – all across the UK. Many cities now offer top rated street art walking tours – our favourites are the Street Art and Graffiti Tour from Free Tours by Foot in London and Where the Wall Street Art Tour in Bristol. A Deluxe Sketching Box Set – Royal Langnickel makes this deluxe sketching box set that will equip artists of all levels and styles with the tools that they need to create their next masterpiece. A 3D Laser Printed Crystal – Artists love to surround themselves with things of beauty, and so why not combine their love of aesthetic with a piece of their artwork? Have Incrystals create a bespoke, one of a kind 3D printed crystal gift that features someone they love or a piece of their own art. Buying gifts for loved ones can be a challenge, but if you have a movie lover in your life this Christmas rest assured – you have many options for delights to place under the tree. Here are some of our favourite gifts for cinephiles (and pop culture lovers of all kinds) for Christmas 2015. An annual membership to Sundance DocClub – Sundance Doc Club is a fantastic on-demand streaming service that shows a finely curated selection of the world’s best documentaries. With annual memberships costing less than 30 pounds, this is a brilliant idea for a dedicated doc lover. A selection of Criterion Collection DVDs – Known as the gold standard when it comes to releasing deluxe, ultra high quality DVD editions of the most treasured films of all time, Criterion Collection DVDs are packed with extra bells and whistles, bespoke artwork and loads of features. These are a lovely addition to any film buff’s home library. A personalised photo gift etched with your loved ones’ favourite film – A perfect, fully customised gift for any film lover? Incrystals allows you to etch a precise photograph or still film image onto many different surfaces, such as Zippo lighters, iPhone cases and clocks. Choose your loved ones’ favourite actor, film poster or movie scene and create something special. Cinema tickets or membership to the BFI – You can never go wrong with a cinema voucher or a yearly membership to the British Film Institute. Film themed Christmas Jumpers – Finally, if you really want to say, “Merry Christmas” to a movie lover, buy them a Christmas jumper that features their favourite film. With a focus on guilty pleasures and ’80s classics, these jumpers are an excellent gift for the person who has everything (the Die Hard one is a personal fave). The best time to buy Christmas gifts and save! The holiday season can be the happiest time of year – the family is together, the table is heaped with delicious food and the Christmas tree is laden with gifts and decorations. While the company of your family and friends is priceless, you do need to be careful that you don’t break the bank when shopping for their gifts. 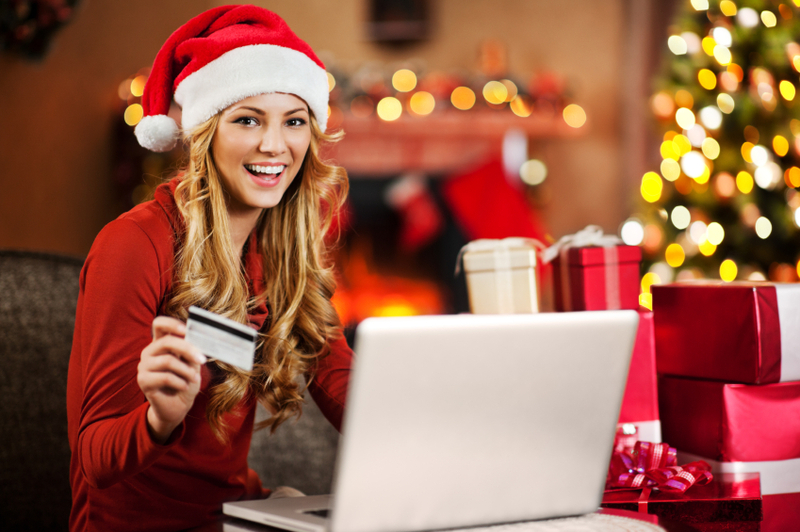 Here is a list of the best times of year to buy certain gifts so that next year you can enjoy the holiday with a fatter pocketbook and a heftier bank account balance. Boxing Day – This may seem obvious, but the day after Christmas (and in fact, for most of the following weeks) is a spectacular time to find sales for next year. While you may not be able to predict the hot toy or favourite book that will be on next year’s wish lists, you can certainly stock up on wrapping paper, Christmas cards, decorations and stocking stuffers. End of February/March – As the winter season wraps up, you can clean up on sales! Woolly mitts, knitted caps, cozy socks and other seasonal winter clothing will be discounted deeply – perfectly for next year’s pile of gifts. Early October – While it may seem far too early and we collectively grumble each year, most stores begin to sell their Christmas goodies, chocolates and sweets at the beginning of Autumn. In order to drum up interest, they are often on for a special introductory price – grab all of your yummy sweets at this point. Cyber Monday (late November) – The Monday after US Thanksgiving is often referred to “Cyber Monday” because of the fantastic online deals on electronics and consumer goods. This trend has recently come to the UK, and you can find great prices on gifts – here is a list of some upcoming sales in this country. As the holiday season gets into full swing, it’s time to start compiling a list of the Christmas gifts that you’ll need to buy this year. Parents, children, friends and spouses – while these can be challenging presents to choose, you can rest assured that you know the individual well enough to select a great item that they will cherish. But what about buying for people you hardly know? This is the difficult chore that parents find themselves in each year when it comes time to select a Christmas gift for their child’s teacher. While this person spends day in and day out with your wee one, you probably don’t know them all that well on a personal level – and this can make present buying a nightmare. Don’t fret – here are five great ideas that will set your gift apart from the myriad boxes of chocolate that your kids’ teachers are sure to receive. A Spa Voucher – What better way to say, “thank you for educating my rambunctious little one,” than a voucher for a luxurious spa treatment. Perfect for a male or female teacher, consider a massage voucher – you can often find these for special rates on websites such as Groupon and Wahanda. A good Bottle of Wine or gourmet biscuits – A great bottle of wine can be a lovely gift for any occasion, but you might want to consult with the school to make sure that this would be appropriate. Delicious biscuits are always a good failsafe! A Photo Crystal of this year’s class photo – Primary school teachers form deep bonds with their classes year on year, and a 3D Photo Crystal featuring an engraving of the class photo can be the perfect gift to help them remember your child and their classmates for many years to come. A Personalised Book Bag – Simple and adorable, these personalised book bags are affordable and practical – sure to make any teacher smile. A nice dinner out – A gift card for a mid priced restaurant is sure to make any teacher grin from ear to ear when they realise they don’t need to cook dinner on an especially hectic day! 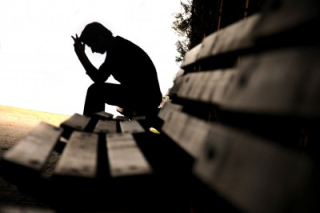 As the weather gets gloomier and the days are shorter and dark, many people experience a period of sadness or seasonal depression. This time of year is hard on many, and when this combines with a period of grief, illness or stress it can be very difficult. If you have a friend or a loved one who is going through a hard time, here is a list of meaningful gifts that are perfect for raising their spirits and cheering them up. Colouring books for adults – No, this is not a joke – adults can benefit from colouring, too! Mindfulness colouring books (such as the brilliant Art Therapy Colouring Book) have recently taken off in popularity, and they can help someone feel calm and relaxing while indulging their creativity. A DIY care package – Creating a customised gift basket filled with yummy treats, healthy supplements, pretty little gifts and an uplifting card can really help someone feel appreciated and loved – a great way to cheer them up. A meaningful photo gift – A 3D photo crystal is a lovely way to cheer up your friend or loved one. Consider choosing a treasured photo of your child, pet or a happy memory and having it turned into one of these breathtaking gifts. A video message – Someone who is feeling really blue might not be up for a lengthy conversation on the telephone or in person – consider sending them a lovely video telling them how much they mean to you.